Health insurance is complicated. Sharp Insurance can help. We offer health insurance either "on exchange" or "off exchange" for individuals and families under the age of 65. 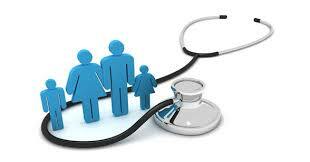 We can help you navigate through the complexities of the Affordable Care Act. And if the new President changes the law, we'll be there to help you then as well. We can help you get a major medical health insurance policy for you or your family, along with other supplemental products such as dental and vision. If you're 65 or older, we also specialize in Medicare Supplement and Part D drug plans. Jared Sharp at Sharp Insurance will impartially shop the top carriers and get you the best rates on these Medicare insurance products, so you don't have to worry about all the junk mail you're getting from AARP. Give Sharp Insurance a call today and see how easy it is, our number is 208-847-2231.